California Writers Club, founded in 1909, is one of the nation’s oldest professional clubs for writers. We are a 501c3 nonprofit educational corporation with 22 branches in California. Our organization is dedicated to educating writers of all levels and disciplines in the craft of writing and in the marketing of their work. The Club has more than 1,700 members. Our branches hold regular meetings with informative speakers and opportunities for networking with your fellow writers and publishing industry pros through our workshops, contests, seminars, and conferences. Join us and improve your writing and build your career. 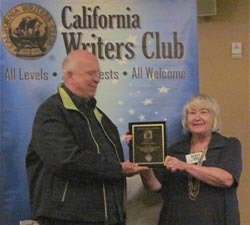 The California Writers Club (CWC) shall foster professionalism in writing, promote networking of writers with the writing community, mentor new writers, and provide literary support for writers and the writing community as is appropriate through education and leadership. The club supports all genres, writing styles and related professions such as editing, publishing, photographic journalism and agents. The branches provide an environment where members can obtain critique of their efforts, attend workshops, and share experiences. Branches are encouraged to mentor writers of all ages by providing educational programs for adults and fostering youth programs. Periodically, the CWC Central Board bestows the Ina Coolbrith Award to honor a member for exemplary service to CWC and/or the Central Board. 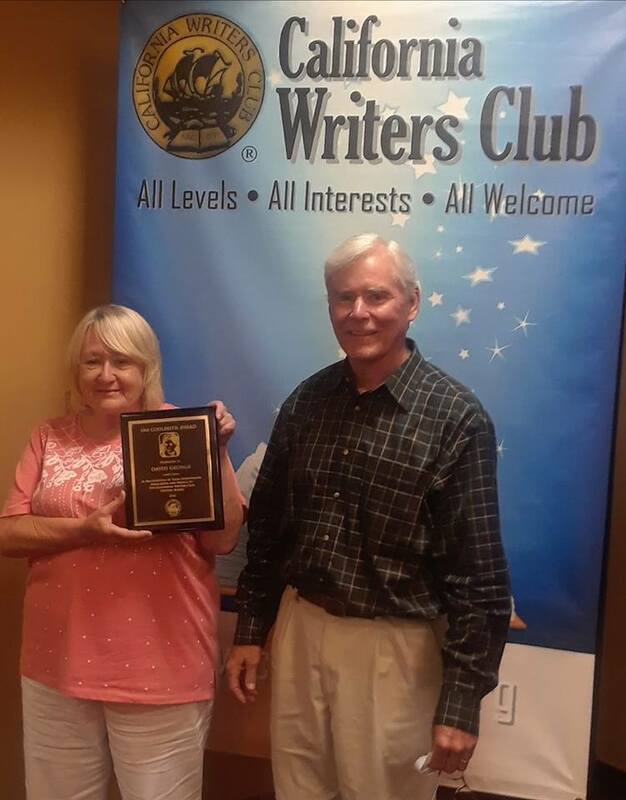 President Joyce Krieg holds the esteemed Ina Coolbrith award for past president David George at the July 2018 Central Board meeting. 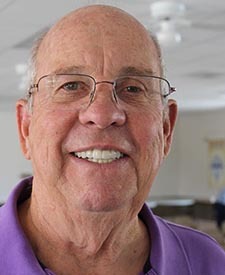 In the past few years, the Central Board had often called upon David George “in a pinch” and he would be there to help keep the ship on an even keel. His dedication to step in when needed made the Central Board’s decision that much easier. At the July meeting in 2017, the Central Board voted to recognize one of its most involved members with the award for exceptional service, and on Sunday, July 22, 2018, the event took place at the Oakland meeting. Past-president David George received the rarely-bestowed Ina Coolbrith Award. Bob Isbill receivies the Ina Coolbrith Award in July 2017 from CWC President Joyce Krieg. CWC President David George presented the Ina Coolbrith Award to San Fernando Branch member Ray Malus at the July 24 Central Board meeting in Oakland, CA, at the Holiday Inn Airport Express. The organization’s highest honor, it recognizes exemplary service at the state level. In 2011, Ray received the CWC’s Jack London Award for service at the branch level. In his own branch, he designed the San Fernando Valley website, serves as its webmaster, was longtime editor of the branch newsletter The Valley Scribe, and represented the SFV branch on the CWC Central Board. Last year he retired from the position of Member-at-Large on the CWC Executive Board. Also on the state level, he created and developed the Member Record Management System (MRMS) for recording membership data and simplifying data entry. Since then he has provided user support, responding to suggestions and requests for filing needs, and adding enhancements. Bob Isbill of the High Desert Branch, who nominated Ray for the award, assisted David George during the ceremony. Bob was in turn assisted by his grandson, High Desert Branch member Kevin Morse. July 2014: Robert Garfinkle Receives Ina Coolbrith Award Robert Garfinkle (left) receives Ina Coolbrith Award from CWC president David George (right) and Bob’s branch president, Nancy Curteman (center). At the July 2014 CWC Central Board Meeting, David George and Nancy Curteman presented the Ina Coolbrith Award to Fremont Branch’s Robert Garfinkle. 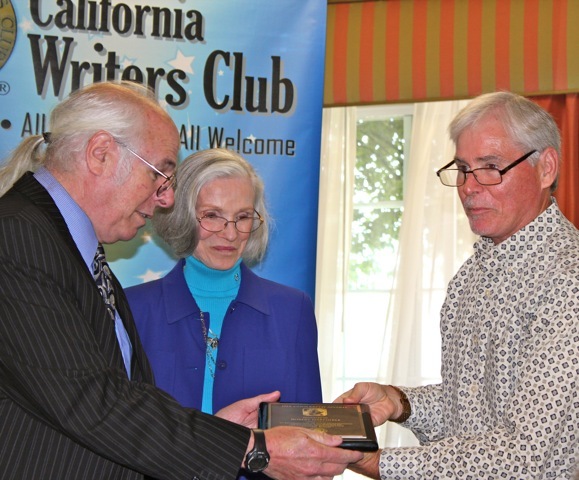 Bob is a long- time member of California Writer’s Club and a lifetime member. He has dedicated a tremendous amount of his time and talent to CWC and continues the work of 19th- and 20th-century California poet Ina Coolbrith who encouraged new writers through her literary salons. Like Ina Coolbrith, Bob encourages new writers at club meetings. Like Ina Coolbrith who was President of the Congress of Authors and Journalists, Bob was president of Fremont Area Writers and California Writers Club. Like Ina Coolbrith who was a celebrated poet and author, Bob is an internationally known author of astronomy books and scientific journal articles. Like Ina Coolbrith who was active in her community as an Oakland librarian, Bob was active in the community as Union City Council Member. Like Ina Coolbrith, Bob has demonstrated his love of writing through his active support of CWC. Dave received the Ina Coolbrith Award for serving as the Bylaws and Policy Chair, 2007 through the present. He also established the e-business forum, and wrote the associated operating procedure. 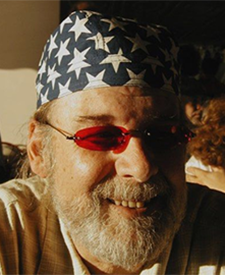 He founded the NorCal Group of the CWC, a northern California regional association of branches intent upon promoting Club interests, addressing branch leadership needs, and augmenting members’ interest in writing. He chaired NorCal for its initial three years, and he conceived of and established the Publishing Pathways program, a resource for new writers faced with myriad publishing questions and dozens of pitfalls when wanting to publish their books. He created and developed the Literary Review, and serves as its managing editor. An instructor at San Jose State University, Kelly received the Ina Coolbrith Award for her work editing the fifth edition of West Winds Centennial, a collection of poetry, fiction, and nonfiction by members of the California Writers Club. The first West Winds, a hardcover collection of fiction, was published in 1914 and illustrated by California artists. Follow-up editions were published in 1925, 1931, and 1989. West Winds Centennial is the fifth edition. Kelly has been an active member of CWC since 2007. 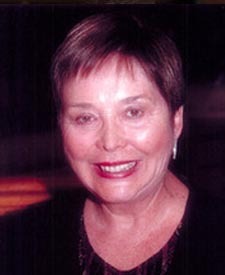 She co-directed the East of Eden Writers Conference in 2008 with fellow CWC member Edie Matthews. It drew 300 attendees, and featured workshops, agents, publishers, and Pulitzer Prize-winner Jane Smiley. 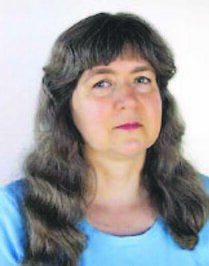 After a successful career in technical writing, she started teaching technical writing in 1999. She earned her MFA in 2005 and currently teaches creative and technical writing. She is also a past director of the Center for Literary Arts, an organization that brings noted authors to campus, and is present director of Writing Programs at San Jose State University. Joyce considers her biggest and most important CWC achievement to be rekindling awareness of our connection to Joaquin Miller Park in Oakland, of the planting of Writers Memorial Grove, and of the construction of the Cascades and Woodminster Amphitheater. This impressive CWC project had almost been lost in the mists of time until Joyce did her own research and brought it to the attention of the Central Board and to the general membership in The Bulletin. Thanks to her efforts, CWC now has a permanent display commemorating our centennial at the ranger station at Joaquin Miller Park. 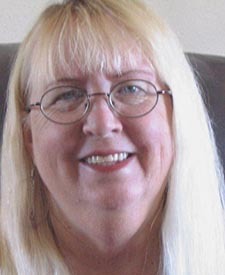 Joyce was not even a member of California Writers Club when she agreed to help the Central Coast branch with their newsletter in October 2004. 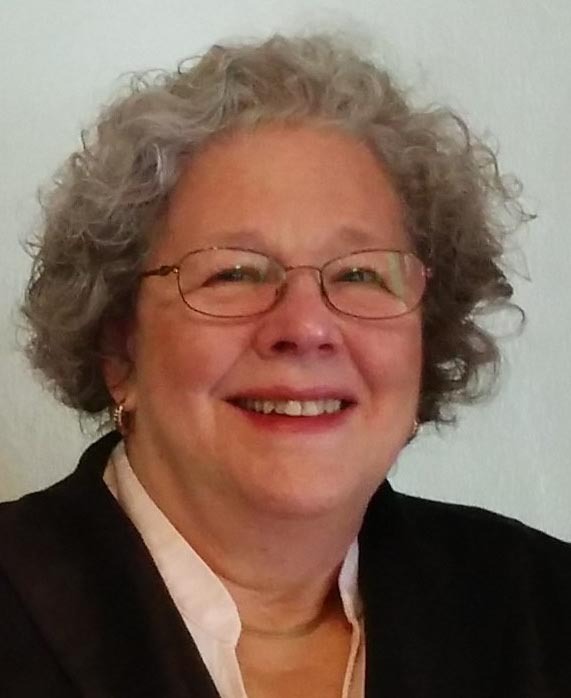 Since then, Joyce has joined CWC and has held almost every office and committee chair at her branch: newsletter editor, membership chair, program chair, workshop chair, and treasurer. 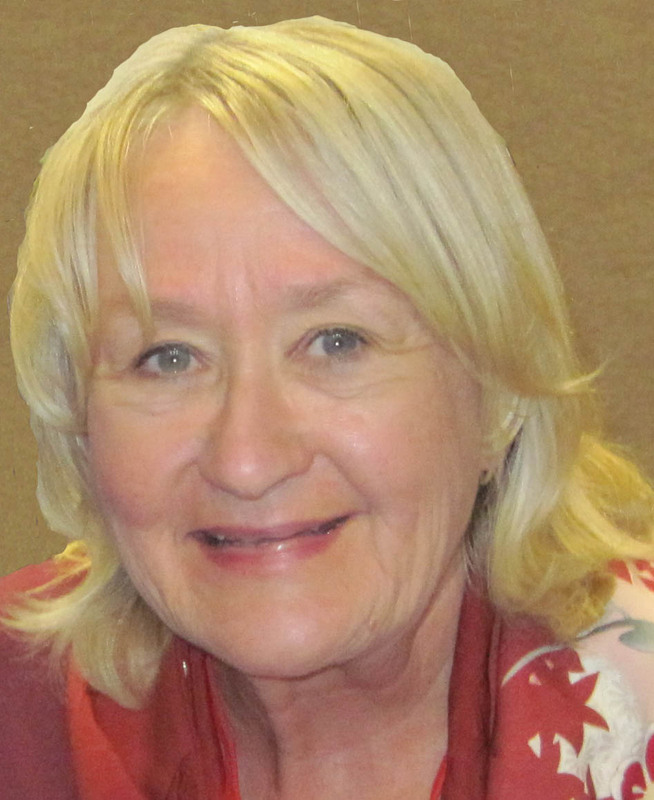 She culminated her career with Central Coast by serving as president in 2011-2012, and continues to serve as her branch’s Central Board representative. Also very active at the state level, Joyce currently serves as secretary to the Central Board and chair of the CWC NorCal Group, as well as being editor of the CWC Bulletin. 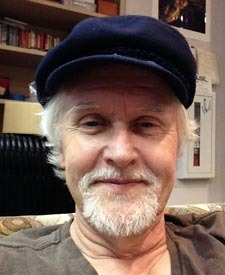 Casey edited the first CWC branch anthology, Images; was a founding member of the East Sierra branch; and served as president of the California Writers Club corporate central board of directors first from 1999 to 2002 and again from 2008 to 2010. With Barbara Truax, he created and codified the CWC Policies and Procedures. 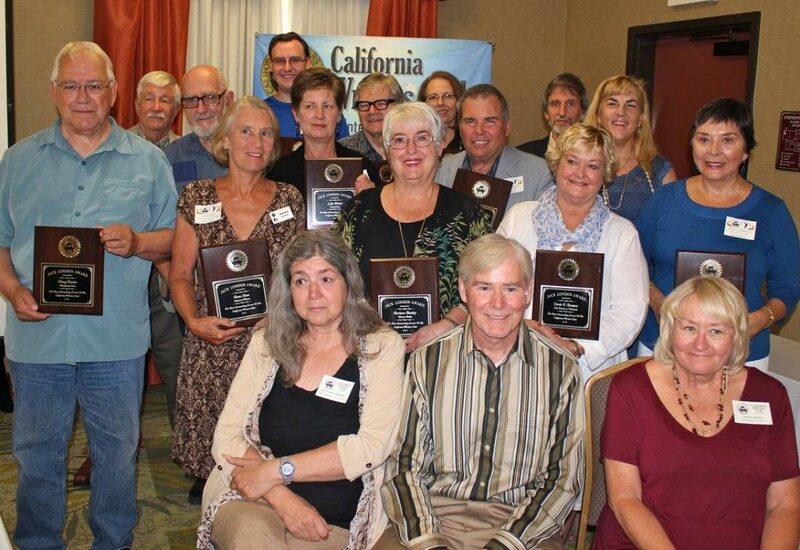 Every other year, each CWC branch may nominate one member to receive a Jack London Award in recognition of outstanding service to the organization. The award honors a member whose service to the CWC and/or a branch has been exemplary. The merit of the award is in the service, independent of writing accomplishments. It is not mandatory that a branch designate a recipient simply because the opportunity exists. The CWC president bestows the awards at the annual corporate meeting. Here are the 2017 Jack London Award Winners. Jack London Award Winners 2015 Back Row, left to right: Arthur Carey (Fremont Area Writers), Daniel Stallings (East Sierra), Dennis VanderWerff (Writers of Kern), Paula Chinick (Tri-Valley), Colin Seymour (South Bay). Third Row, left to right: Steve Liddick (Sacramento), Leslie Patiño (Central Coast), Dwight Norris (High Desert), Joan Steidinger, Ph.D. (Marin). Second Row, left to right: Doug Fortier (Mendocino Coast), Jeane Slone (Redwood Writers), Barbara Bentley (Mt. Diablo), Carole J. Bumpus (San Francisco/Peninsula), Jeanette Fratto (Orange County). Front Row, left to right: Donna McCrohan Rosenthal (Jack London Awards committee), David George (CWC president), Joyce Krieg (Jack London Awards committee). Also, Doug Fortier (second row, far left) served as Jack London Awards committee chair. 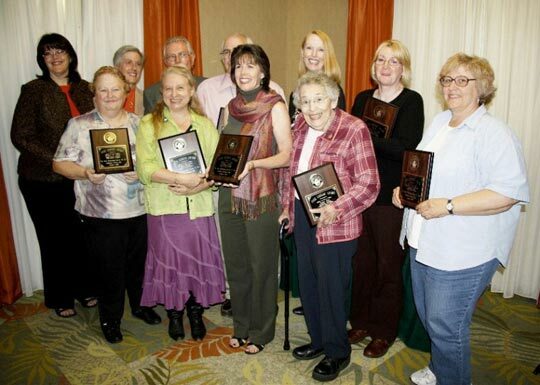 2009 Jack London Award Winners Back row, left to right: Sandy Moffett, Joanne Brown, Dave LaRoche, Robert A. Garfinkle, Pam Tallman, Julie Bauer Front row: Carol Warren (representing Robert D. Isbill), Cindy A. Pavlinac, Kathy Urban, Anne Fox, Karen Batchelor. Not pictured: Ken Jones, Stephen J. Wersan, Robert D. Isbill, Libby Grandy, Anne Margis, Kathy Highcove. Photo by Martin Gregory. Through 2005, the Jack London Awards were given every year.